Two Layer Guacamole and Chipotle Chicken Tacos. But sometimes I just can’t make up my mind on whether to go soft or hard with my taco shells. When this happens, I do what I do best; I combine the two to make one. OH YES, we are so going there. I’m talking double layer tacos! 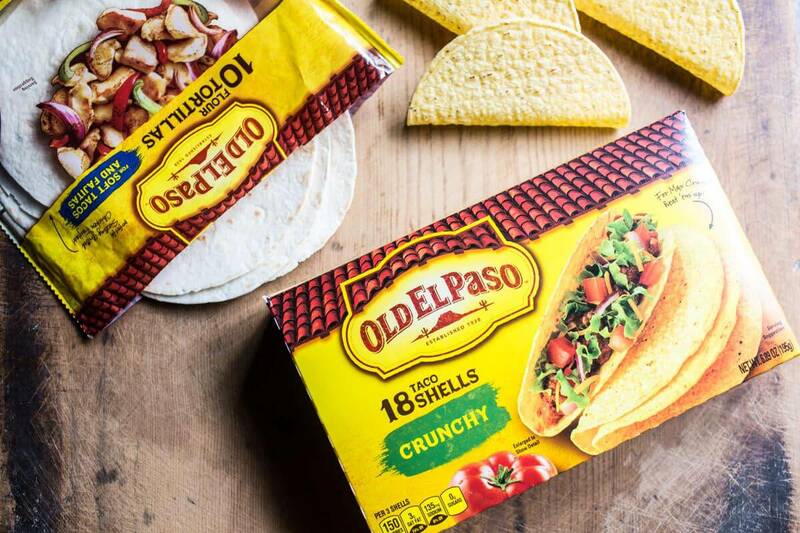 Not only are we using soft flour tortillas, but we’re also using a crunchy corn taco shell… I know, know! And I didn’t even get to the best part. In between the soft flour tortilla and the crunchy corn taco shell is a layer of guacamole! For real. Basically, I created the most epic taco that gives you the best of both worlds, a little soft, and a little crunch with every single bite. It is perfection! 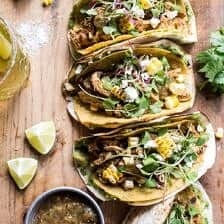 Aside from the double shells, and the layer of guacamole, there’s also some really yummy grilled chipotle chicken going on inside these tacos. All topped off with a tomatillo peach salsa, and finished with a hefty sprinkle of cheddar cheese and cilantro. Yes, please! 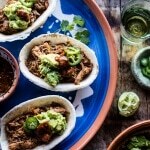 Basically, these tacos are my perfect summertime dinner! Meaning that I’m totally making them again tonight. Just marinate the chicken before you head out for your Sunday activities, then spend 15 minutes when you return, and you’ll end up with a fun delicious meal that everyone will enjoy. I can’t think of anything more fun to grill than two layer guacamole and chipotle chicken tacos! What a great way to end a nice summer weekend. You with me or what? 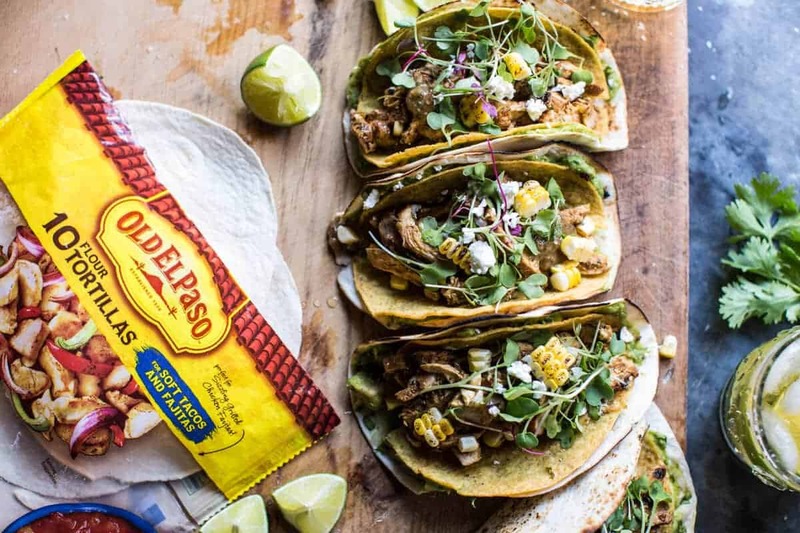 Not only are we using soft flour tortillas, but we’re also using a crunchy corn taco shell… I know, know! And I didn't even get to the best part. In between the soft flour tortilla and the crunchy corn taco shell is a layer of guacamole! For real. In a large gallon size zip-top bag, combine the ingredients for the chicken and toss to combine. Seal and chill at least 1 hour or up to 12 hours. Line a baking sheet with parchment. Add the peeled tomatillos and peaches. Place under the broiler for 3-5 minutes, turning once or twice or until the tomatillos are mostly charred all over. Remove from the oven and let cool slightly. Then add the charred tomatillos and peaches to a blender or food processor. To the blender, add the jalapeno, cilantro, basil, lime juice and salt. Blend until mostly smooth. Pour into a glass jar or serving bowl. Cover and store in the fridge until ready to serve. The sauce can be stored for at least a week in the fridge. Set your grill, grill pan or skillet to medium-high heat. Grill the chicken until lightly charred and cooked through, turning occasionally throughout cooking, about 10 to 12 minutes total. Transfer to a cutting board and allow to rest 5 minutes, then slice into thin strips against the grain or shred. To assemble, spread a little guacamole on a warmed flour tortilla and wrap around the hard taco shell. Add the chicken, peach salsa and cheese. Garnish with fresh corn, cilantro and microgreens. EAT! *If preferred, you can bake your chicken at 350 degrees F. for 25-30 minutes or until cooked through. *to make a quick guacamole, mash together 3 avocados with 1 seeded + diced jalapeno, 1/4 cup chopped cilantro, juice of 1 lime and a pinch of salt. 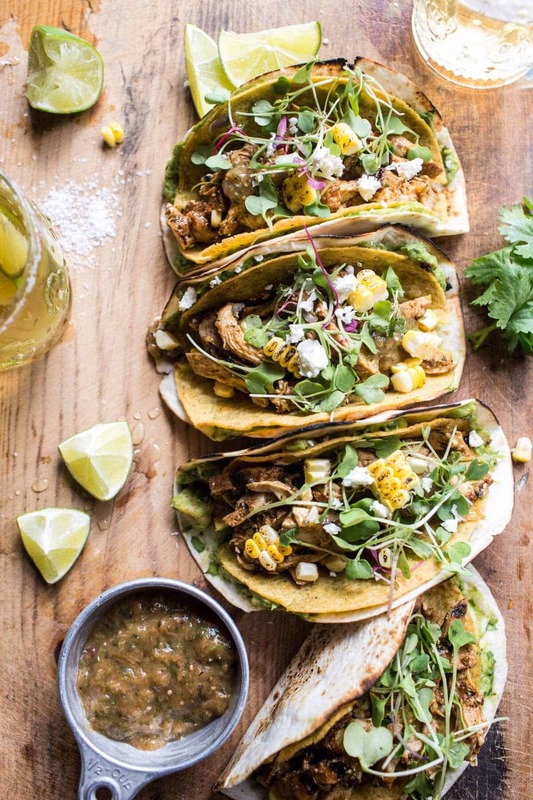 Guess we better live up these summer days as best we can…tacos for the win! Crockpot Mexican Chili Lime Chicken. They closed our Taco Bell for remodeling–I only go there about once a year in the summer and I passed it today thinking that’s what I want today. So glad your recipe came along. Haha! Well I am happy it did too so you could get some tacos!! Thanks Nancy! Holy crap Girl, YES!!! This is a life-changer right here. Like, you need to be nominated for some kind of award for these revolutionary creations!!!! WOW! This is so awesome Tori!! Thank you so much, I am so happy you enjoyed these! it was MJ. And regardless of your feelings about him he was a human being who left a mother behind to bury her child. A sense of decency is not too much to ask. But yeah, he had the white folks laughing. Chris Rock is intellectually constipated. These look yummy! 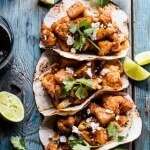 Love the combination of crispy taco shells and soft tortillas. 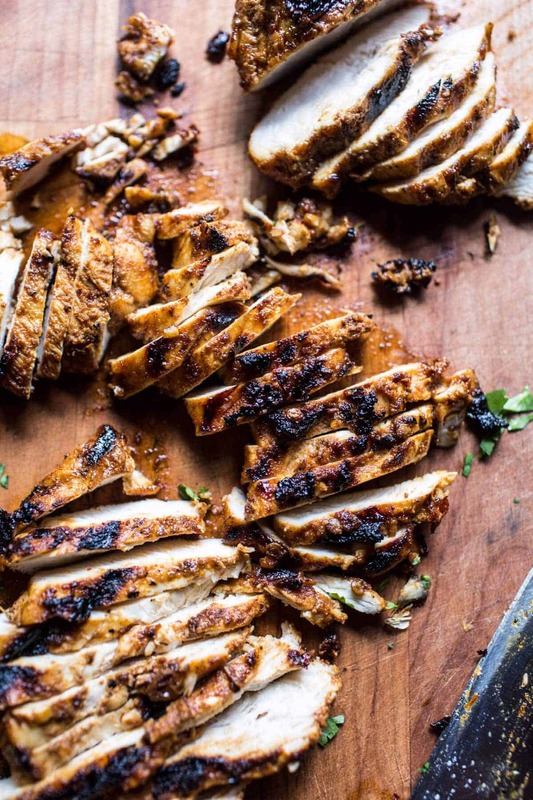 Ohh and the grilled chicken looks perfect – would love this for my lunch today! My Uncle Mikey used to make all manner of double layer tacos. Each one featured not just a sprinkle of cheddar but a thick-cut slab sandwiched somewhere in the layers! Thanks for reminding me of him today, I miss him terribly but I am going to make a batch of these tacos and celebrate such an awesome Uncle when I do!! I am so sorry for you loss, but I am happy that these reminded you of him. I hope these turn out just as great as his for you! Thanks you Marina! Oh, this looks sooo incredibly delicious, Tieghan! I love tacos, and especially chipotle chicken. But the double layer taco and the tomatillo peach salsa takes this to another level! Thank you Andrea!! I hope you enjoy these!! Such an imspresive answer! You’ve beaten us all with that! I appreciate your War Series but lament its limitation to appear just annually. I hope we have enough time to change, but fear that truth alone will not bring it. Thanks for your empathy. Qualsevol persona que hagi fet alguna competicio on hagis dÂ´estar mes de 4-5 hores corrent, sap que aixo no es “moco de pavo”…Jo tb soc dels que sÂ´apunta al que sigui encara q no hagi fet una minima preparacio previa que et permeti afrontarla en millors condicions….te el seu punt de morbo…Felicitats per ser FINISHER, i per la cronica, es molt divertida…jajaja…Clap, Clap, Clap!!.Naxo. Marcin S pisze:Witam Panie Janie, duÅ¼y szacunek za to co Pan robi, mam pytanie: czy planuje Pan wydanie jakiejÅ› kolejnej ksiÄ…Å¼ki Thomasa Woodsa? I ogÃ³lnie co planuje Pan wydaÄ‡ w najbliÅ¼szej przyszÅ‚oÅ›ci? Pozdrawiam i Å¼yczÄ™ duÅ¼o zdrowia. These look really good and easy!! 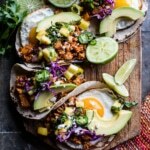 I’m definitely more of a crunchy taco girl myself, but these look epic and I happen to have a perfectly ripe avacado on the counter!!! I was wondering if you used chipotle chili powder? Or I could just chop up a chipotle chili in adobo..? Hey Cassandra!! Thanks so much! I used a chipotle chili in adobo, but 2 teaspoons of chipotle chili powder would be great too. Let me know if you have any questions. Hope you love these, thanks!! This looks fantastic! Can’t wait to try it! Corn tortillas are my favorite! I also love putting tofu, fajita veggies, salsa and LOTS of guac in them! YES! Extra guac for me too! Thanks Rebecca! hey Whytney!! yes, fish would be amazing and I think any fish you love would be great! For a veggie version, try using zucchini, corn, mushrooms and bell peppers. Let me know if you have questions. thank you! So wonderful! Love the combo of the two shells…and all that guacamole?? Yes. Just yes. You are a genius! If I ever look up a recipe, it always brings me back to you. Keep it up! i absolutely ADORE your recipes & really appreciate getting into work & looking at fabulous food!! so thank you for that!! 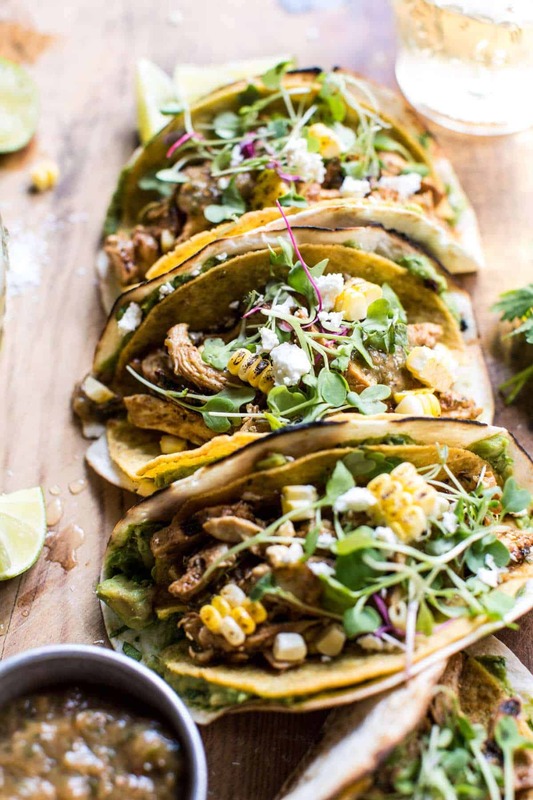 you should fry your own corn tortillas….it really does make it better! 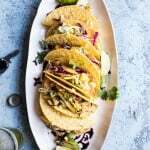 they even sell baskets to form them into these taco shells or you can use a metal spatula to hold the middle down in the oil…but definitely something you should try! Awh, thank you so much Lisa!! That does sound delicious and so fun!! I might have to try it! Hope you loved the last couple of post!! You should have seen how my eyes widened with a “Eureka!” level of delight when you mentioned the layer of guac between the two taco layers. YESS!! SO happy about it! Thanks Kate! I made these for dinner tonight…they were a hit! YAY! Glad you guys liked them!! Oh man, now I am seriously craving tacos! Love that tomatillo peach salsa! Wonderful dinner. My wife and I are big fans, and she whipped this up for me tonight. There are many more recipes we are itching to try, just hope I can exercise enough to try them all! Thank you Kyle! I’m so happy she made this!! Even more happy you both liked it!! Truly amazing! Great recepie with chicken, and easily adaptable into a vegetarian! i need to type you a kudo, since your food is just about all i cook as of late. Love tacos!! One of my favorite dinner ever! Thumbs up for double layer of guac! I can never have it enough! yumm! Same! Guac is just too good! I think I’m missing something. Where in the recipe is the chipotle ? I want to do it right. Hey James! So sorry for the trouble I have fixed the recipe and there is now the chipotle peppers. Let me know if you have any questions. Thanks! Simply wanted to mention Now i’m relieved I stumbled in your page!. I love your recipes and can’t wait to cook this one tomorrow! Just to verify, the combining of the ingredients for the chicken, tossing in a large gallon size zip-top bag and chill – does this include everything from the chicken down to the kosher salt and pepper?